"To save American democracy, Trump must hang," Fresno State University Professor Lars Maischak wrote on his Twitter account, Fox News and others report. "The sooner and the higher, the better." "What ELSE - beyond Ghoulsuch - will it take for #Liberals to realize the #Constitution is rotten & does not merit their slavish affection?" "Don't tell me to 'obey the Law.' 'The Law' in this country is one part Racism, one part Class Oppression, all Capitalism. #TheResistance"
And what happens if we "do not go gentle into that good night"? So he also intends to ban and execute political opponents. That presupposes there will be plenty of non-Oath Keepers willing to arrest and try and execute these Republicans, and that they'll be able to get away with it. In other words, he is advocating for totalitarianism and genocide, and by default the "monopoly of violence" needed to carry out such evil. What is it about commies that they always seem to end up there? 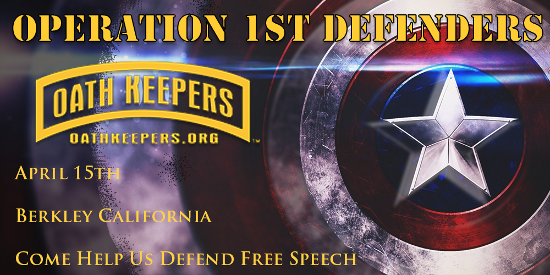 .If you believe in the mission of Oath Keepers, to defend the Constitution against all enemies, foreign and domestic, please consider making a donation to support our work. You can donate HERE.